The US Navy could still send an aircraft carrier through the Taiwan Strait in spite of Chinese military technology advances which pose a greater threat to American warships than ever before, the US chief of naval operations has said. Aircraft carriers, which are typically equipped with around 80 aircraft and crews of around 5,000 personnel, are key to the US military’s ability to project power globally. 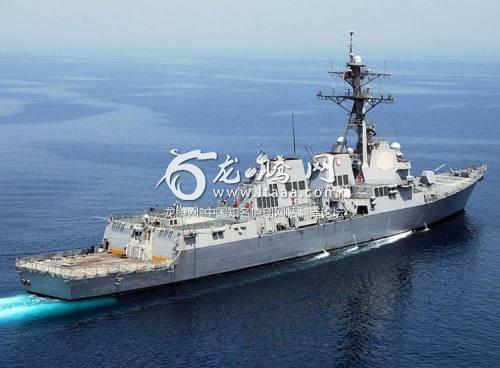 Admiral Richardson, who visited China before travelling to Japan, said he told his Chinese counterparts the US was opposed to any unilateral action by Beijing or Taipei. It has threatened to further fortify its military installations on artificial islands and reefs amid escalating tensions with the US. Anyone has the right to sail thru the straits. China does not own the international waters. The US, Japan, Taiwan and other countries should immediately begin constructing islands of their own. Time to remind the world and China that the "sleeping giant" can wake up at any moment! Every one of those 'fortified' military installations on artificial islands are already on the target list, and they can't run away. If the Chinese were to attack a US Navy Carrier Group the trade war would be settled fast. Should China fire upon a US carrier they better be able to take out the rest of the carrier battle group and nine more carriers and battle groups. Just one Ticonderoga cruiser has enough fire power to finish off China in about 28 minutes. There missiles better be good and they better never miss. 我正在翻阅百科全书和历史书，试图找到美国已经赢得的一场战争，但失败了; 还有，请不要提出第二次世界大战的荣耀，因为美国是以联盟的身份加入的。 我是巴西人，我们知道美国，在1942年，为了说服巴西政府加入战争，我用德国的颜色涂装了一艘旧船。 现在想想，在对华战争中，哪些国家会支持美国。 看看他们和中国之间的商业关系..
China attack US Navy Warship they will make a huge mistake no telling what the US will do but one thing is vry clear there will be a response. China thinks they own everything even international waters we have news for you China we are not afraid of your J-20 OR YOUR MISSILES but keep in mind once you elect to start using them we will have no choice but to sink a few islands in the south China sea so the ball is in your court choose wisely.